Sleek and elegant, a glass ornament will look fabulous on your Christmas tree. 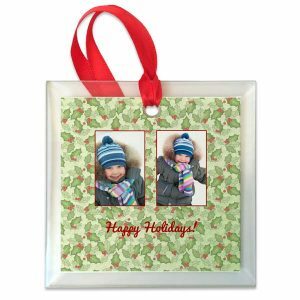 Each glass photo ornament features a clear beveled edge around your photo or photo art producing reflective angles to help disperse the lights on your holiday tree. 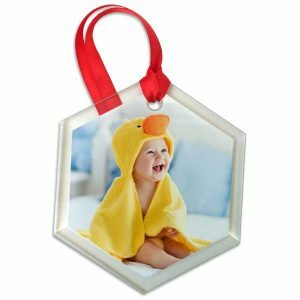 Create a beautiful ornament to commemorate an event or special occasion and display it proudly in your home.